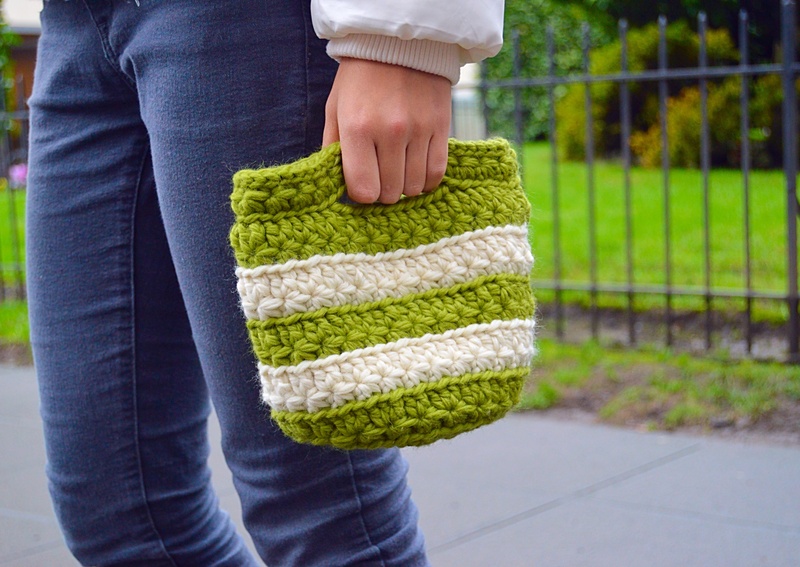 These crochet mini bags are the perfect size for daily handheld things, like snacks, lunches, phones, or cosmetics. 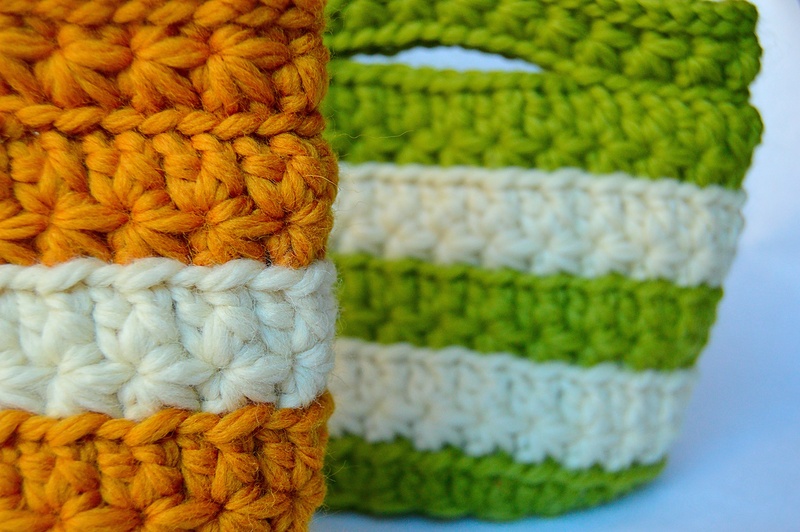 I bought 3 different kinds of yarn; green, orange, and ivory of 100% Peruvian Highland Wool to make bags in each colour. 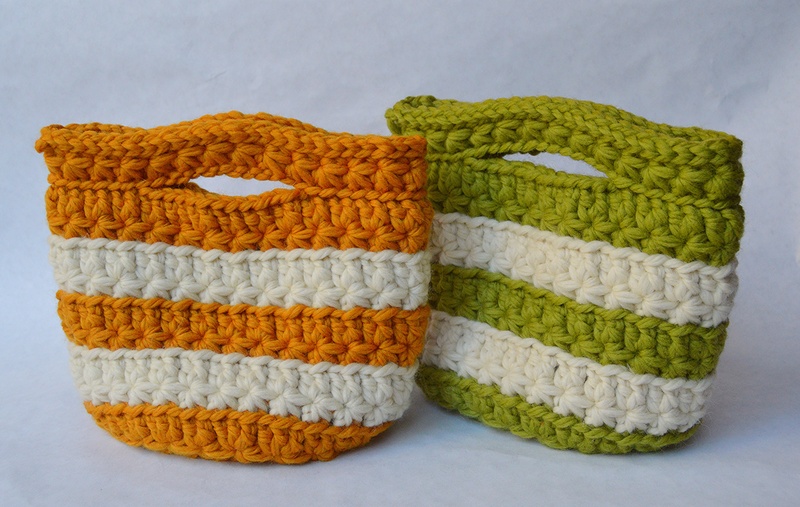 As I was making the crochet bag, I realized I did not have enough yarn, so I decided to combine the colours. 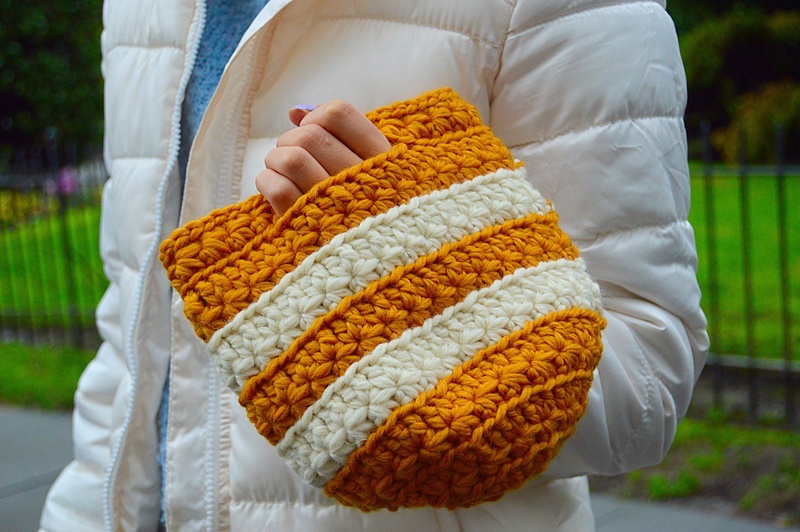 This is a star shaped crochet stitch, so a star shaped pattern can be seen in the bag. 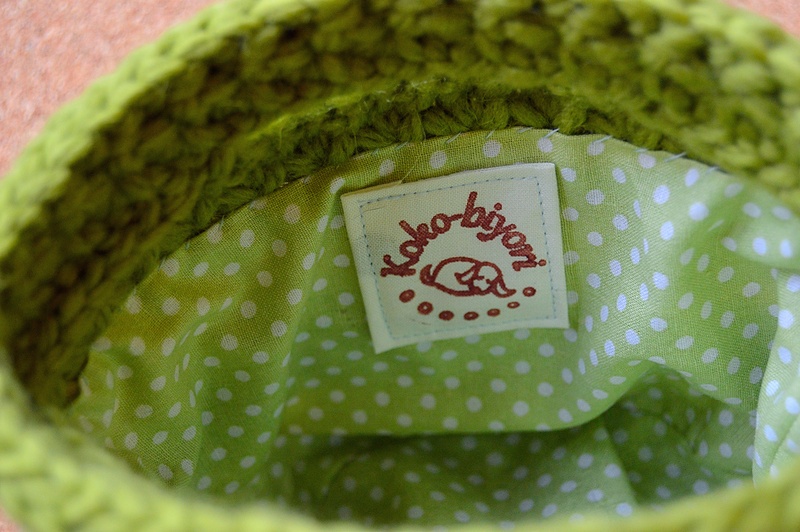 The insides of the bags are lined with similarly coloured fabric and Kokobiyori’s logo. 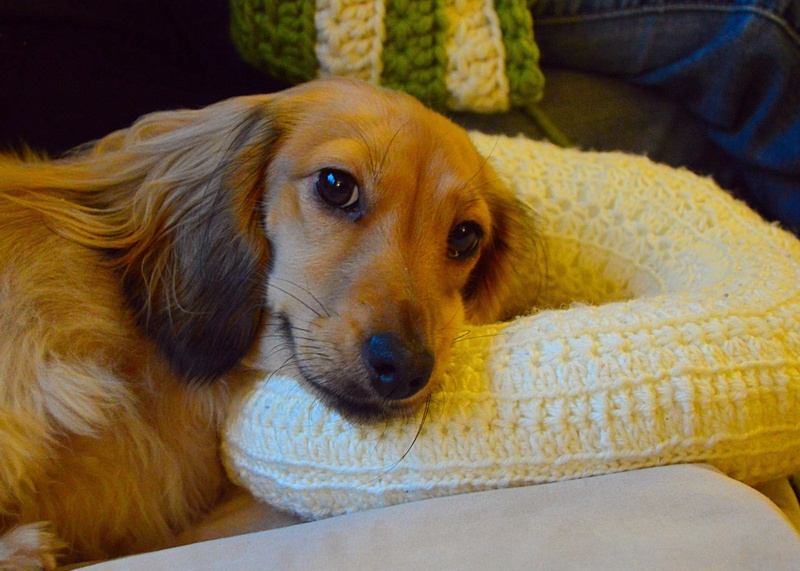 Besides the crochet mini bags, I made a crochet doughnut shaped pillow for Haru, which she loves! As I was making the mini bags, she was lying on the pillow keeping me company.